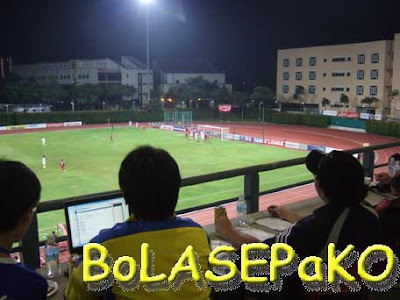 BoLASEPaKO.com - a simple view on Singapore Soccer: "It wasn't a fair result"
"It wasn't a fair result"
I shouted as the crowds at Bishan saw the rejuvenated Korean-based Super Reds defeated by perennial powerhouses Home United (secured by yet another injury-timing strike). No doubt, I'm confident that many would have felt the same I did. For large part of the game, the Koreans were dominating the game with their usual tempo and time-to-time frustrated the Protectors with their slow passes and holding of possession (not mentioning a legitimate goal being disallowed in the first half!). Although, I must said Peres De Oliveira did a wonderful as a stand-in skipper for the injured S Subramani. Super Reds' assistant coach Jeon Kyeong Joon (extreme right) shared his thoughts (through his translator - the man in white top) with the media after their first defeat of the season. 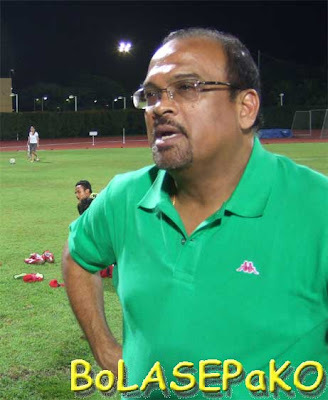 Home United coach, Mr PN Sivaji paid tribute to his opponents and is confident his team have enough depth to cope with the season's fixture congestion.